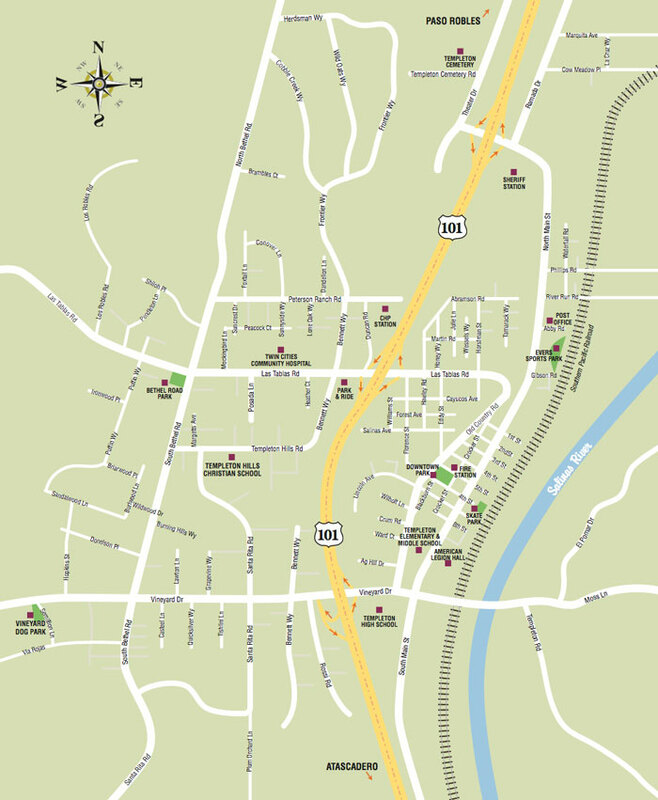 The new map of Templeton designed by Access Publishing. Click for larger version. Access Publishing recently updated a new map of Templeton, Calif. It will be published with supporting advertisers at the end of this month. “The map is a cleaner and more complete update of previous maps we have published in our annual business directory North County Access,” says Scott Brennan, CEO of Access Publishing. The Templeton map is posted above. Readers are welcome to comment and offer suggestions. They may be sent to Scott@accesspublishing.com. 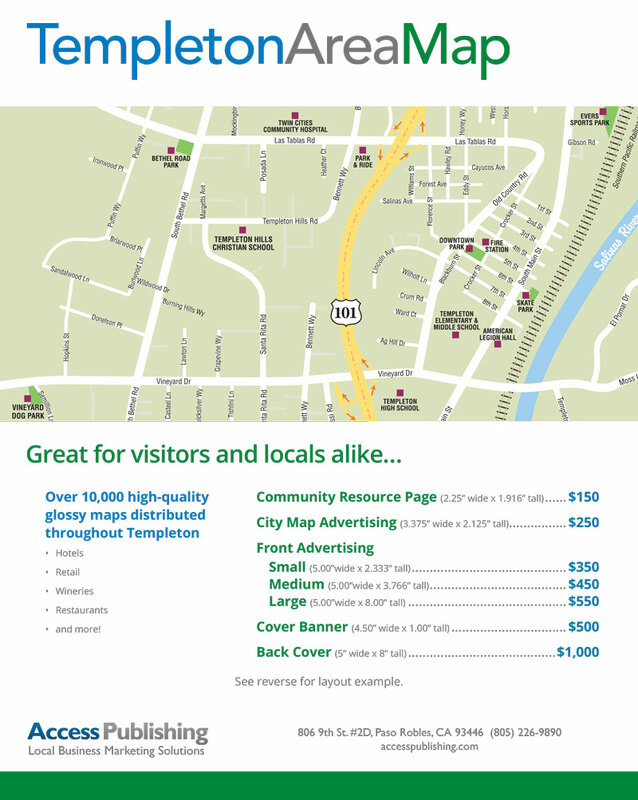 Over 10,000 high-quality glossy maps will be distributed in February throughout Templeton including at hotels, retail stores, professional offices, wineries, restaurants and more. “It’s an excellent guide for tourists and locals alike,” Brennan says. The advertising spots for this 2018 map are still available. Additionally, there will be future advertising opportunities in the upcoming Templeton Community Guide in print and online for businesses and organizations trying to reach the community.